Led by Diana Gilon at the University of Haifa, Acrylic on Canvas 70" x 50"
This painting was created and hosted by students from the University of Haifa’s International School. 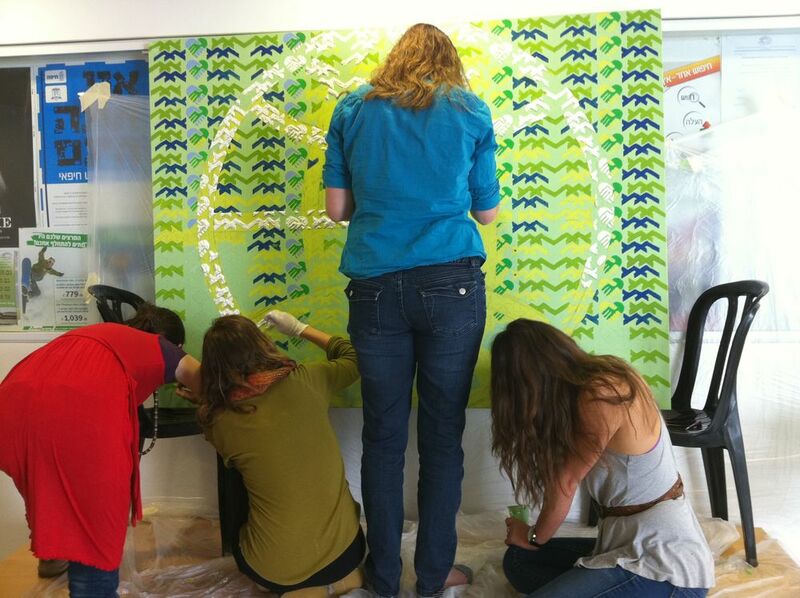 The original design for the painting was inspired by principles that the International School thrives on, such as support, international association, exploration and unity. 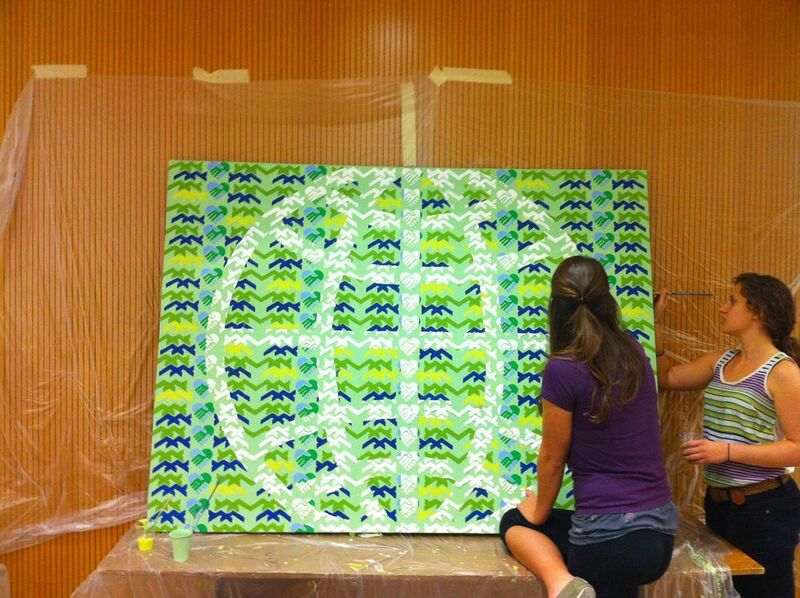 The design consists of the university’s logo in repeat across the canvas. The university’s logo mimics the slopes of Mount Carmel, where Haifa resides. The two hands, which are clasping each other in the shape of a heart, represent the “unity” aspect that is so prevalent in the university's student life. The colors of the painting are shades of green and blues that represent Haifa’s lush landscape on the edge of the ocean. The universal symbol for the globe is highlighted in white thick paint across the pattern.